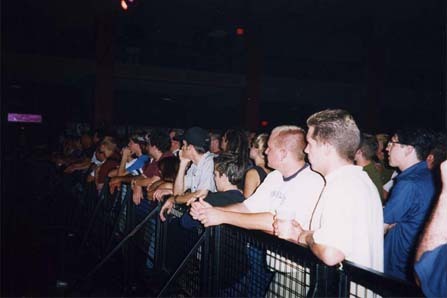 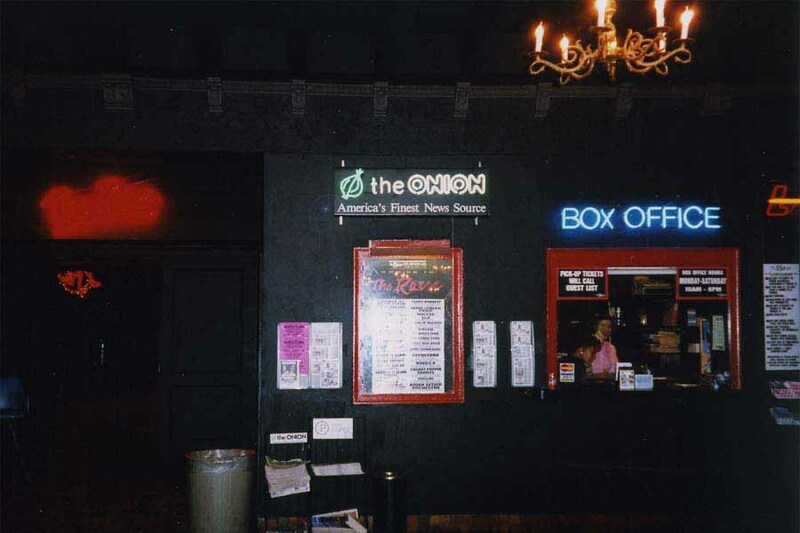 Box office at the Rave before the show. 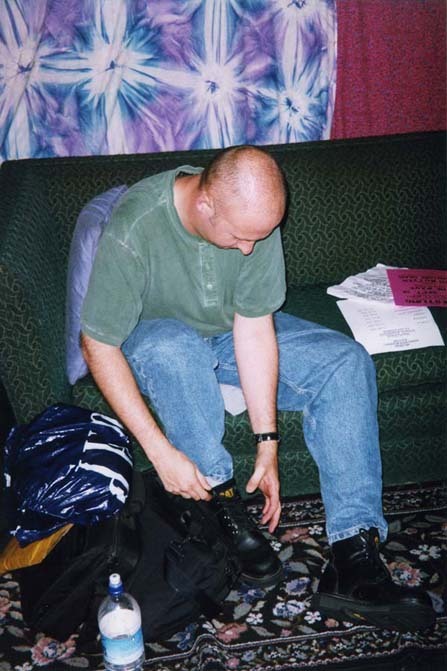 Bob tries on his new shoes backstage. 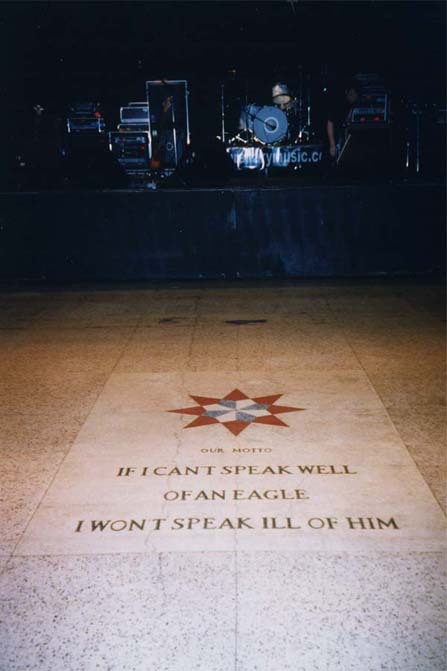 Eagles floor with the stage in the background before soundcheck. 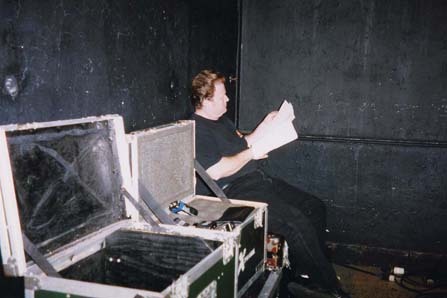 Bill Batson relaxes after setting up the monitor board. 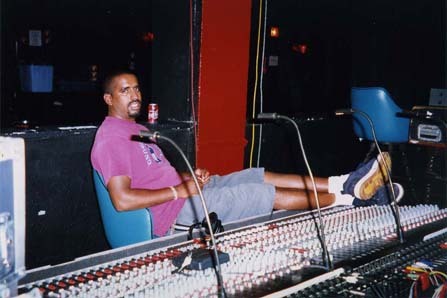 Randy Hawkins does the same at his FOH console. 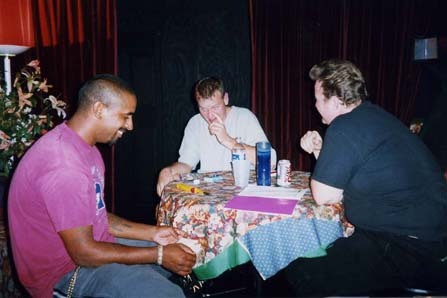 Randy, bassist Jim Wilson and Bill backstage. 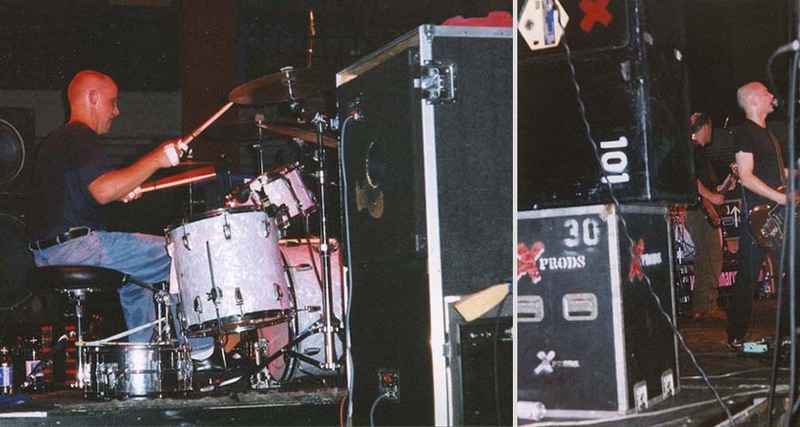 Drummer Matt Hammon onstage; Jim, Michael and equipment crates.